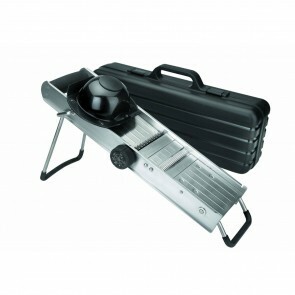 Discover our full range of mandolin slicers for individuals and catering professionals! AZ boutique has rigorously selected an array of mandolines combining good grips, speed, precision, maneuverability and durability. 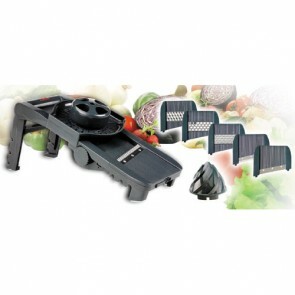 This kitchen equipment is a real ally to cut large quantities of fruits and vegetables. 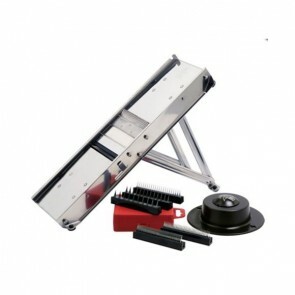 Several adjustable models are available to allow you to modify the thickness of your slices. 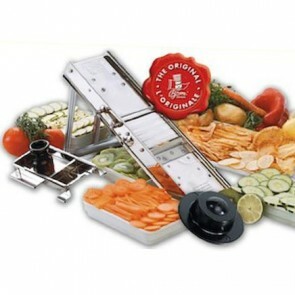 With mandoline slicers you can easily make fruits and vegetables crinkle, sticks, strips, waffle, julienne and chips. Baked beet or zucchini chips, small fresh vegetables and feta rolls for the appetizer, a spiral pie as a creative starter, homemade waffle fries, french fries or potato gratin for the pleasure of younger ones and why not apple tart with roses shape for dessert? Unwind your imagination! 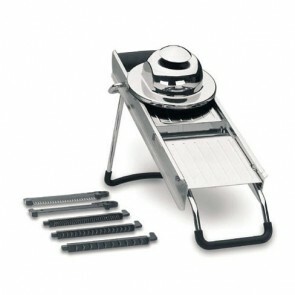 Multifunction mandolins with interchangeable blades which will replace a whole battery of kitchen knives. 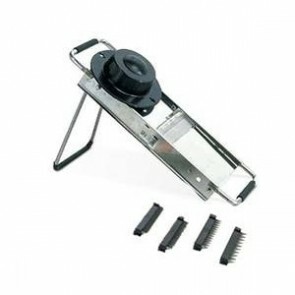 This ergonomic kitchen accessory can be used as an cabbage chopper, egg slicer, a cheese slicer, a garlic slicer, a grater, a shredder, vegetable slicers for paper thin slices, for dicing, chopping finely or coarsely. Some mandolins even have a meat slicer and grinder function. For vegetables and fruits with a high water content (tomatoes, cucumbers or kiwis), it is preferable to opt for the mandolins with a V slicer. 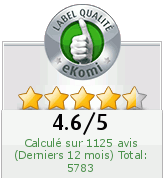 Which material to choose for your mandoline? 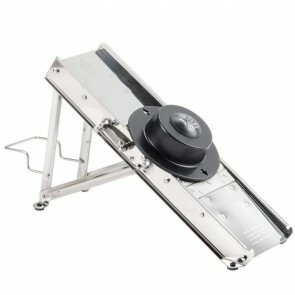 Given the intensive use you will make the kitchen mandolin, we advise you to opt for stainless steel blades. The stainless-steel blade guarantees not only an incredibly high resistance to corrosion and wear but also provides a perfect food hygiene without modifying the flavors. For your safety opt for a hand safety guard holder or anti-cut gloves which will protect your hands since the blades are razor sharp. Glam up your fruits and vegetables with AZ boutique! 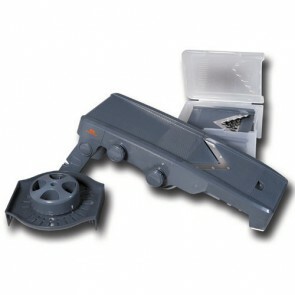 Thanks to our range of sturdy mandolin slicers, home cooks will be able to cut vegetables at the same speed as professionals with a simple gesture and professionals will be able to considerably reduce the cooking time of your culinary preparations. 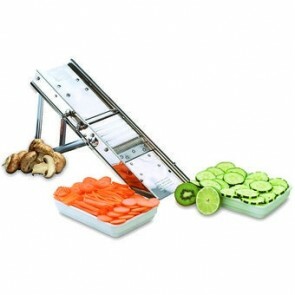 Professional mandoline, Japanese mandoline and adjustable mandoline of prestigious brands like Lacor: you will find all the fruit and vegetable kitchen utensils you need on AZ boutique. Add an elegant or fun touch to your fruits and vegetables with our other products such as vegetable sharpener, cookie cutter, pineapple cutter or apple peeler.